Creeping buttercup (Ranunculus repens) steals nutrients, sunlight and water from desirable plants and grasses. Moreover, creeping buttercup may cause pain and inflammation in grazing animals. Fortunately, you can control creeping buttercup using herbicides and other methods. Creeping buttercup can hurt animals. Creeping buttercup is a low-growing perennial with hairy leaves divided into three lobes. The flowers are perhaps the most identifiable feature and consist of five to 10 bright, shiny yellow petals. The flowers grow up to 1 inch in diameter and are broadly rounded at the apex. Creeping buttercups prefer moist soil and are commonly found throughout the northern United States. 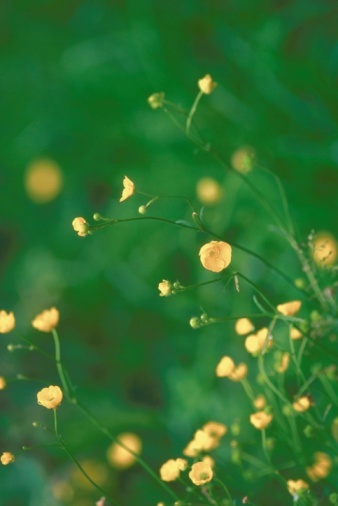 Herbicides containing glyphosate, such as Roundup and Glyfos, can be used to kill creeping buttercup. Because these herbicides are non-selective, meaning they kill all plants that they come in contact with, it's important to spot treat the creeping buttercup; spray each plant until it is wet, but not dripping, and leave the surrounding soil and vegetation untouched. Many glyphosate products must be diluted with water. Follow the instructions on the package. 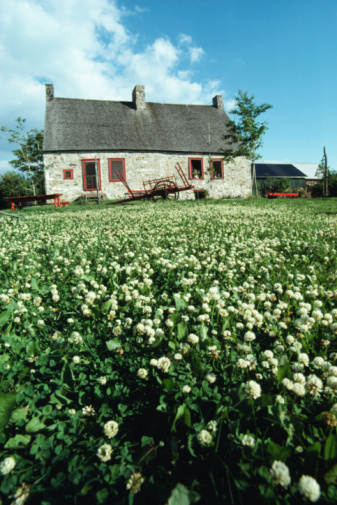 Selective herbicides are herbicides that kill creeping buttercup while leaving other plants unharmed. Selective herbicides containing aminopyralid, such as Milestone and VM, can be used to kill creeping buttercup. Aminopyralid products are available at farm supply stores and should only be used in areas listed on the label--generally pastures, hayfields and other agricultural settings. Fortunately, aminopyralid products will not harm livestock, provided you take all precautions. Perhaps the most effective way to control creeping buttercup is to correct the conditions that are favorable to creeping buttercup. These conditions include poor drainage, soil compaction, low fertility and low soil pH. Creeping buttercup can also be hand pulled, provided you remove all of the roots and plant parts. Creeping buttercup can actually create new plants from plant fragments, thus tilling may actually spread creeping buttercup.